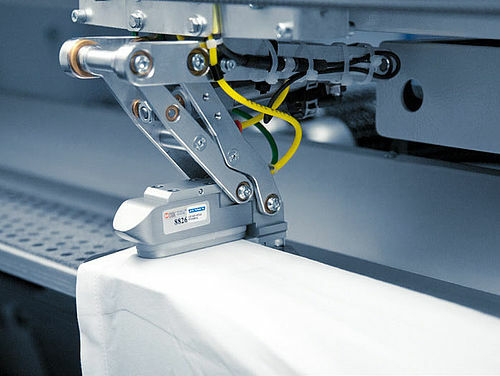 Multi-purpose feeder combining top-quality feeding of table linen with high capacity feeding of bed linen. Fast feeding of bed linen. Top-quality feeding of table linen. 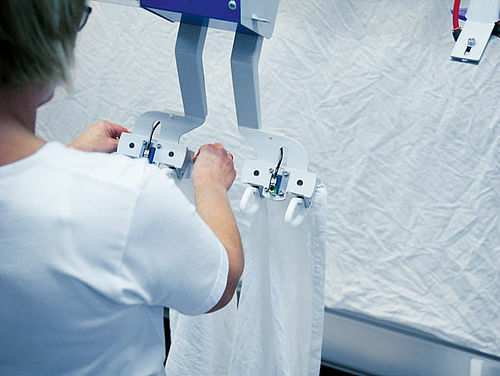 Gentle handling of the linen by the unique soft-touch spreading clamps. Small-piece feeding in 3 to 6 lanes. Large piece feeding in 1 or 2 lanes. Large-piece feeding in combined 1&2 lanes. Fast and easy feeding of small pieces by vacuum support and spreading plates to assist the operators. 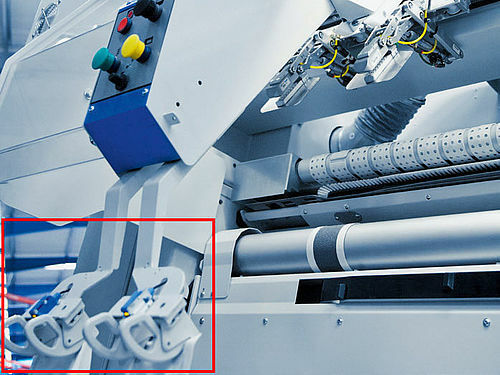 The unique "Easy Clamp" makes it easy for the operators to clip the corners of the linen fast and correct into the clamps. Available with 3 or 4 feeding stations. Perfect leading edge thanks to the unique pivoting "soft-touch" spreading clamps. Automatic setting of the spreading tension and vacuum force according to program. Automatic "shaking" of the linen according to program. 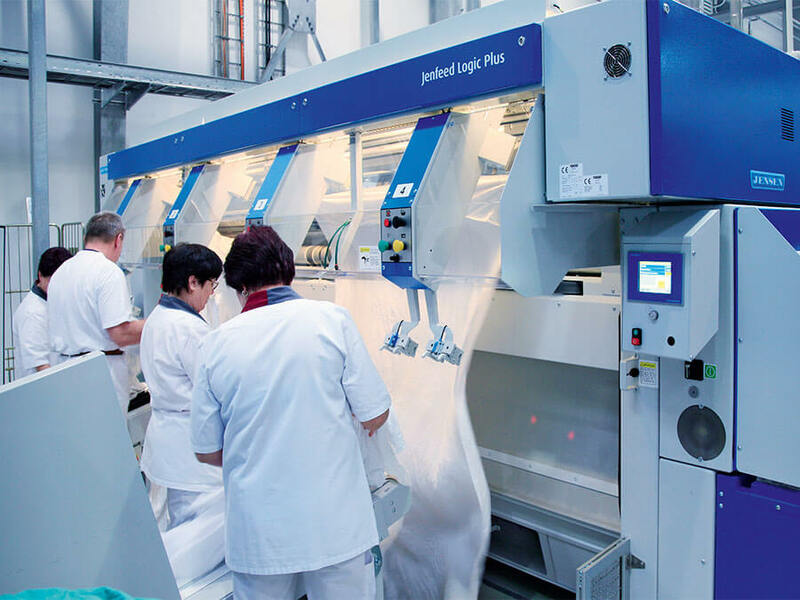 Optimum feeding quality into the ironer chest by the optional unique "Concorde" direct feeding conveyor with vacuum support.